We specialize in quality evergreens to decorate your home or business. Our supplies arrive straight from the north woods in mid November. 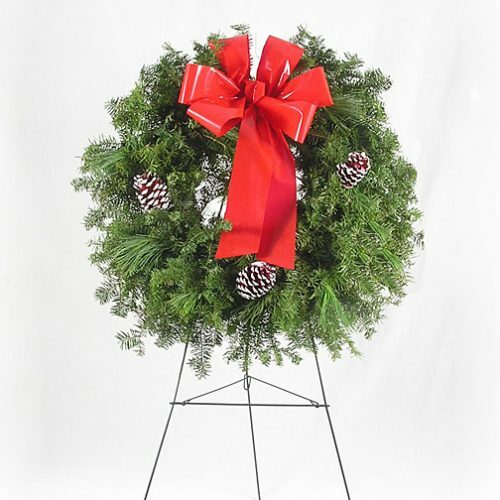 Choose from beautiful wreaths of balsam and pine, fraser or noble fir. 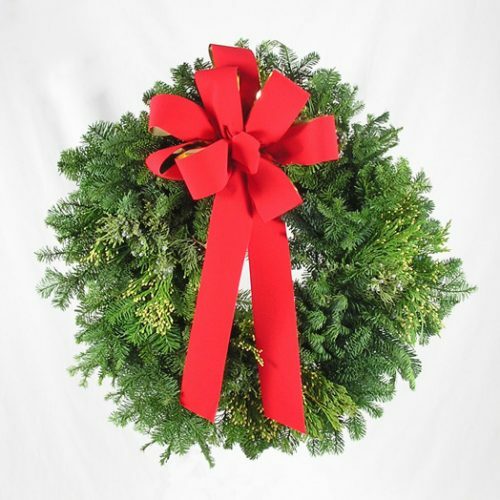 We cut indoor and outdoor evergreen roping and garlands to your specifications. Evergreen tips and boughs, boxwood and holly are sold by the pound. Select your fresh Christmas treein our display, where each tree is upright and ready for the choosing. 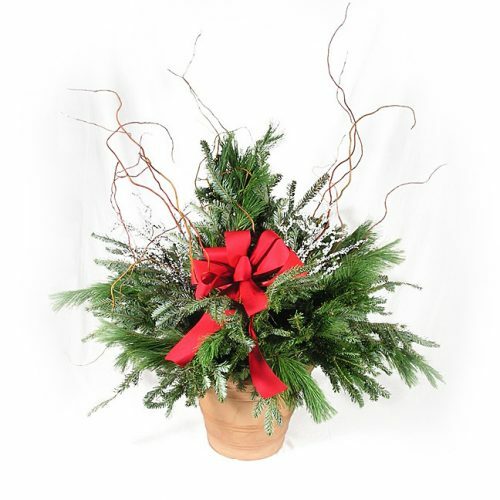 Beautifully trimmed balsam, fraser and spruce trees are always a favorite choice. We also carry a number of high quality artificial Christmas trees, pick one out that’s already decorated or just buy the tree. 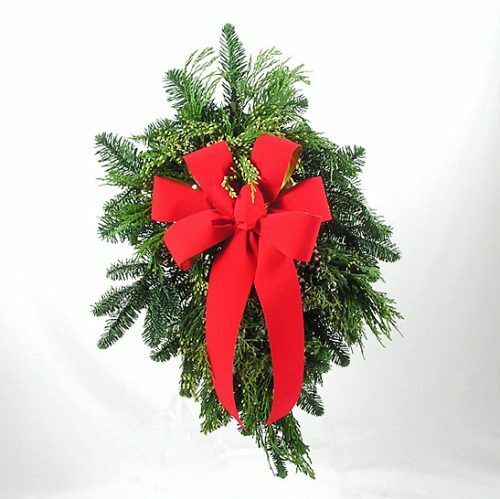 A variety of decorated evergreen pots, swags, centerpieces,grave blankets and wreaths on easels for cemetery placement are also available. We also carry a variety of novelty. Product is ready to go for your shopping convenience, please call ahead for quantity and custom orders. 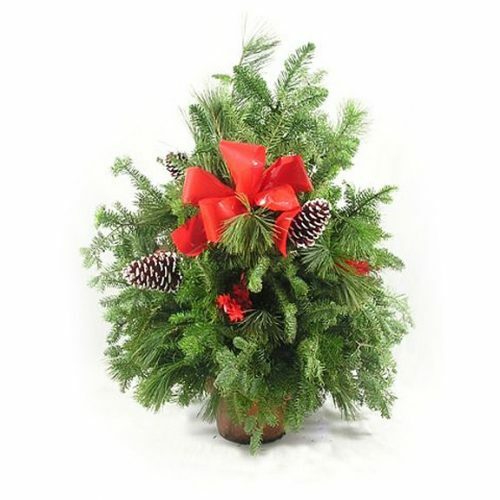 Natural and painted cones, and festive ribbons and bows add color and interest to fresh evergreen items. Our glittering gift shop is brimming with ornaments, trims and décor to complete your decorating needs. Make Poinsettias part of your Christmas celebration or dress up the Holidays with a Christmas flower arrangement. Call or stop in today. We’re located just south of Aurora IL on route 31 in Montgomery IL.